Public Speaking – Scarier Than Death? The RASAG group have been busy as ever… Courtesy of FURD, several members attended a football match at Bramwell Lane Sheffield. Two members, Firas and Shiran, went on to speak on stage at the Showroom Cinema about the match as part of Sheffield Converation Club’s “Off The Shelf “event, which saw Phil Vasili reading from his book about Walter Tull – one of Britain ’s first black professional footballers in the early 1900s. We are looking forward to receiving some photo’s of both events so that we can add them to the blog. 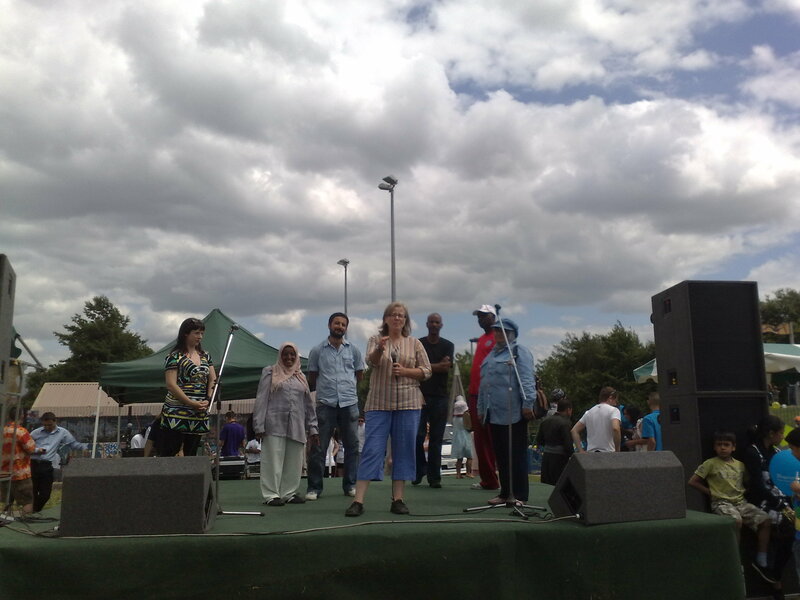 Last Saturday four RASAG members joined together with members of other community groups to enjoy a day of free public speaking training organised by City of Sanctuary and delivered by Speakers Bank trainer. Jen Skapeti. The group really enjoyed the day and felt much more confident in speaking at the end of it. This was a really excellent course which was well structured and delivered. As part of the group, RASAG members often have to speak in public with little or no preperation time. Firstly, during the Legends Project, members were up on stage sharing stories with only one day’s training under their belt. Since then, members have been required to speak at events such as the You Choose funding event and at the “Off the Shelf” festival mentioned above; considering English is not their first language and many of us confess to public speaking being our worst fear, above illness, povety and even death, this training will prove invaluable – thanks Speakers Bank! RASAG is currently working on several initiatives to expand the group and to take it to the next level. we are working with a BBC journalist on a feature about the City of Sanctuary, where she will be using case studies to dispel the myth that asylum seekers and refugees come to England for an easy ride… One of the RASAG members who has agreed to talk to the journalist is Lemlem Hussein Abdu, the Eritrean lady who was detained and had a flight booked to a country that she does not originate from, but was given a last minute reprieve in the form of an injunction that halted her flight. The Manchester court granted the injunction at the last minute because a document was located and faxed from Saudi Arabia that proved that Lemlem was from Ertitrea, not Ethiopia, despite the fact that she had been issued with an Ethiopian passport (which is far from unusual as Eritrea was historically possessed by Ethiopia – the root of all of the war and troubles there in the first place). With the help of key RASAG member and co-founder, Firas Sharefy, Lemlem will tell her story to the journalist in the hope that it will help give a greater understanding to the Sheffield community about the violence and persecution that people are subjected to before they take that enormous decision to flee their own country and seek asylum elsewhere. Lemlem is yet to be granted leave to remain in the UK so the campaign continues. Please go to Sheffield CDAS at http://www.sheffieldcdas.org.uk/, or contact SYMAAC at dignitynotdetention@yahoo.co.uk for more information, or write to Home Secretary Teresa May at Rt Hon Theresa May MP, House of Commons, London, SW1A 0AA to make your views known. Another project involving people’s own stories that RASAG is assisting with is one mentioned earlier in this blog, Chris Stone at FURD’s “Shared Sense of Belonging” project. Firas has joined the steering team for this project to help to guide the direction of the research that will take place. This project promises to be very exciting. as it explores the sociological implications of what creates a sense of home, ownership or belonging for someone who has been driven from their own place of origin to a distant place that often does not welcome them, persecutes them and plunges them into a world of misinformation and uncertainty. This project will particularly focus on how playing, watching and talking about football play a part in creating a sense of belonging and home in people from disparate backgrounds, but it will also examine the role of other sports and activities by way of comparison. Several RASAG members are also interested in forming a five a side team to play football at FURD, which would be very exciting as it would be one of the few city teams that would be made up of people from different nationalities, rather than being a “DRC team”, and “Iraqi team” etc… This unity between refugees and asylum seekers of different nationalities is one of RASAG’s great strengths. More exciting plans in the offing include the creation of a RASAG identity card which would aim to give members a sense of belonging and ownership and could be used to enable them to interact with other community groups on an official level. 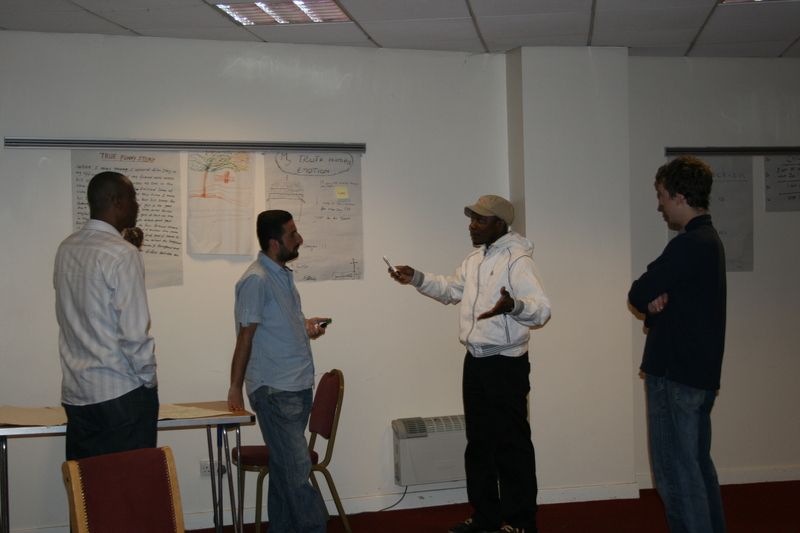 This idea came from the group when RASAG member Spag was asked to help with interpreting for an asylum case by Sheffield CDAS and was asked to show his RASAG ID – we had not considered the fact that members would be offered opportunities based on their RASAG membership status before this point but it is a positive development. We would also like to buy a laptop and some software so that we can start to create a database of our members and activities. RASAG’s next event is planned to be a post Eid community meal where we will tell stories, perform music and provide attendees with food from around the world… This event will be used to create a space for the group to meet with the wider community and to promote our activities and ethos. We are all also looking forward to the end of Summer of Sanctuary celebrations planned to take place later this month – Summer of sanctuary funded our Legends project and in fact RASAG was formed to take part in this unique three month event. Finally I am very pleased to announce that I have been offered the role of Communications and Administration Worker for Sheffield City of Sanctuary. As the only member of RASAG who is not an asylum seeker or refugee I am keenly aware that this prospect is a real privilege and an opportunity that is sadly not available to many of the group members who have hitherto been denied the right to work. However, following the court judgment that asylum seekers who do not receive a decision within a set time should be given the right to work, I hope that this will be the start of many RASAG members finding gainful employment within the sector. In my role at the City of Sanctuary I will be supporting a groundbreaking grassroots organisation key to the sector of people seeking asylum in Sheffield. I will be helping to advance the aim to promote a positive image of refugees and asylum seekers in the city and provide spaces for encounters between the community and the wider Sheffield population, which is also embedded in RASAG’s constitution. Of course the work with RASAG will also continue. As always, RASAG can be contacted of katelyn_mckeown@yahoo.co.uk, or at Learn For Life Enterprise on 0114 2559080. – refugees and asylum seekers most welcome. i. What next for the Legends project? iv. What next for RASAG – football team, talent contest, art project, band…?! At both festivals the MC’s introduction left alot to be desired, but we attracted a respectable ammount of people and made it clear who we were, what the aim of our group was, that we were funded by Summer of Sanctuary and what that initiative is all about. As usual, Firas was the star of the group, telling his own stories with confidence and ease. Everyone put in a great performance however, joining in the singing and drumming and supporting each other on the stage. It was great to see colleagues and students from Learn For Life where the RASAG group formed supporting us in the crowd. These performances have taken us to the end of our Summer of Sanctuary funding which has been used very successfully to engage over 20 refugees and asylum seekers over the entire project, with at least 15 more expressing an interest in taking part but not being able to this time around. Out of the 15 expected to attend the workshop nine made it on the day made up of six men and three women and a fabulous seven different nationalities. Only one of the workshop attendees never performed and this was very understandable due to immigration issues – he told me he had cried when he saw the pictures of performances that he had not been able to attend and he was truly missed on every occassion that we performed. However, as we accomadated people who had not been able to attend the workshop but wanted to be involved in performances, we had 11 different performers over our seven performances – a very pleasing turnout! Legends has acheived a lot on many different levels, but the most notable and pleasing changes in the participants are the unquantifiable “soft skills” – from responding to the compere at the Assist Concert shouting “how are you feeling?” with “Confident!”, to a member who felt isolated realising that he now has friends – these things may not be measurable, but they are so valuable. The Legends exhibition will be available to view at the RASAG Big Lunch which is happening on 18th July at the Sharrow Old Junior School in collaboration with the Summer Flea Market and Sharrow Chef of the Year – more on that to follow soon. Details of both the RASAG Big Lunch and the overall event can be found on page 11 of July’s Sharrow Today. Legends kicked off with a workshop on the 18th July and despite complications including court appearances, fork lift truck driving lessons, hospital appointments and illness, we had a marvelous time with singing, dancing and lots of storytelling! Activities that we worked on included a storytelling circle where we took turns in sitting in “the magic chair” and telling a story to the rest of the group – everyone chose their own tale and did this exercise by themselves – something many would not have felt confident to do at the start of the day. The magic chair was the place to tell stories! We took a break to enjoy a meal together and stories continued to bound across the table, with magic amulets and language being particularly strong topics! The next day some of the participants and our professional storyteller Roisin Murray set up a gazebo at Heeley Festival and entertained adults and children with our stories. In the evening we went on stage at Assist’s One World Over Concert, where we enjoyed explaining the project, singing a song and telling some stories – the group felt great and really elated after this event! 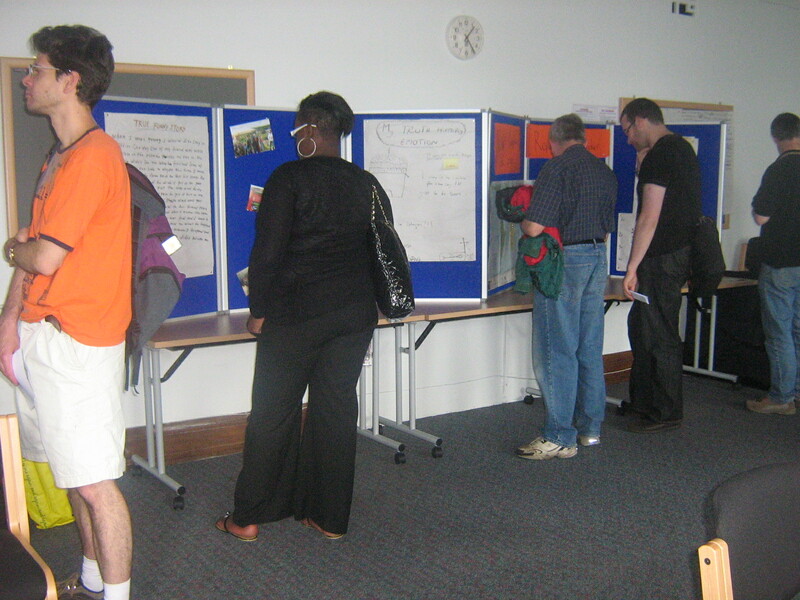 On Monday 21st June the group entertained audiences at Central and Ecclessall library and we showed an exhibition of stories and photo’s which was of great interest to the attendants. After a week in the storytelling wilderness RASAG was out in force at the Heeley Institute Variety is the Spice of Life community lunch yesterday. Nine participants entertained an audience of over 50 people with songs, stories and more stories! City of Sanctuary’s film maker Andrew was there and we are all very excited to see the results of his filming. This was our greatest event so far and the participants really came into their own, taking center stage and proving the personal growth that’s been achieved through the Legends project. The aim of the Legends project was to give people a voice and to help them to interact with the community and it was a source of great pride to see this in action. Next on the agenda for Legends are appearances at Gleadless Valley Festival on Saturday 3rd June at 11.50 and on Sharrow Festival’s Community Stage on the same day at 1.15. If the Heeley Institute appearance is anything to go by, we’re going to take the crowd by storm! The launch of the Summer of Sanctuary got a good old British summer soaking, but was a success nonetheless. The quality of the acts was immense and we were treated to break dancing, flamenco and Temple music inspired Indian dance among other things. Cool Runnings were there doling out tasty plates of curried mutton, chicken and ackee and saltfish, and FURD were in full effect with a TV showing the match and a much coveted football. When the kids had finished decorrating the FURD gazebo with their rice and peas and I’d decided we were wet and muddy enough for one day, we set off leaving the die hards and volunteers to enjoy a kick about and some energetic rain dancing. Unlike the sunshine, the Lord Mayor did put in an appearance, which I took as my cue to distribute the measley remains of the Legends flyers, with ubiquitous explanation of who RASAG are and what we are trying to do. Although the Legends leaflet is now finished, to be revamped and reprinted tomorrow, I received in return a juicy stack of glossy flyers of the type RASAG can only dream of, for the Assist World Over Concert 2010, at which we are very proud to be performing, 19th June, Montgomory Hall, Surry Street Sheffield (http://www.cityofsanctuary.org/node/689) Assist and Summer of Sanctuary’s Dan Stanley also gave me 15 free tickets for Legend’s non-performers to be able to attend the concert, which is really great. The all-new Legend’s flyer is going to look great paired up with the World Over’s sleek number! Togther was a positive event with a diverse mix of volunteers and attendees, all of whom came together to celebrate the Summer of Sanctuary’s ethos “Different Pasts, Shared Futures”. Unfortunately, today’s typically British summer weather meant that it was more of a case of “Differents Pasts, Soggy Present”… However, the Summer of Sanctuary and Refugee Week 2010 are now underway – so here we go, RASAG’s Legends coming soon!